Thank you for the chance to win your book! 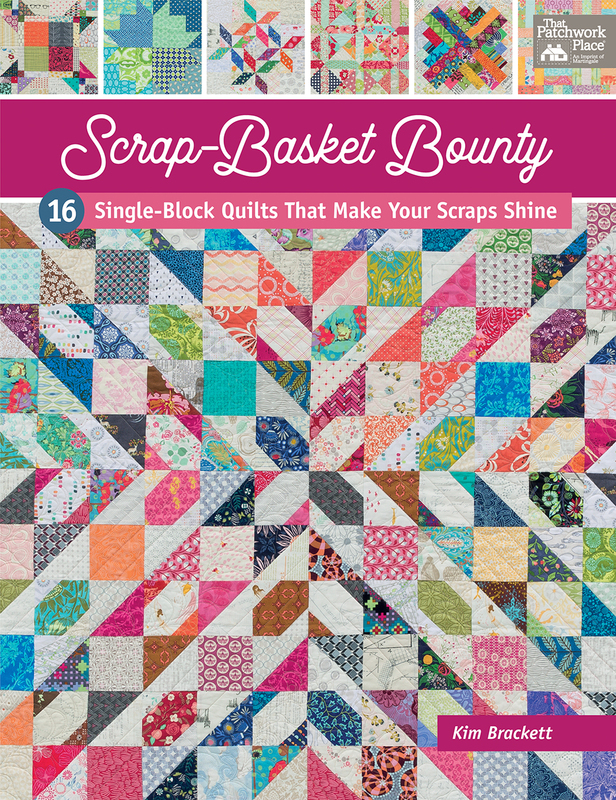 I LOVE scrap quilts, and would definitely go with ScRaPpY backgrounds. Sgrappy, definitely. I love scrappy and I love your books! I'd love to win your book! The quilts you showed today look fantastic! I have all the others too! I've been a scrap quilter for many years and I prefer the look of many different background fabrics. If I'm in a hurry, however, I use one fabric because it's a lot quicker! I like scrappy backgrounds because I love looking at the different fabric designs. I think the give a quilt more depth and texture, too. I would love to win a copy of your book! I love everything scrappy and am looking forward to seeing your new book! Great book with fun quilts. I almost always make my quilts with a scrappy background. I just think it creates more interest. My motto, “scrappy is best”! Thank you for a chance to win a copy of your e-book. I use scrappy backgrounds when it looks right for the pattern. After all, where fabric is concerned, more is always better! Thank you for the sweet giveaway. I love quilts with a scrappy background. I started quilting with either white or cream backgrounds, but once I tried a scrappy background, I have never gone back.They give a quilt a much more complete picture. I love your books, and have them all, except your newest one!! Thanks for the chance to win a PDF I like both types of backgrounds it depends on my feeling with the quilt. Your book looks awesome! Hmmmm....I love a solid background vs. scrappy. Unless it's a very low volume scrappy background. 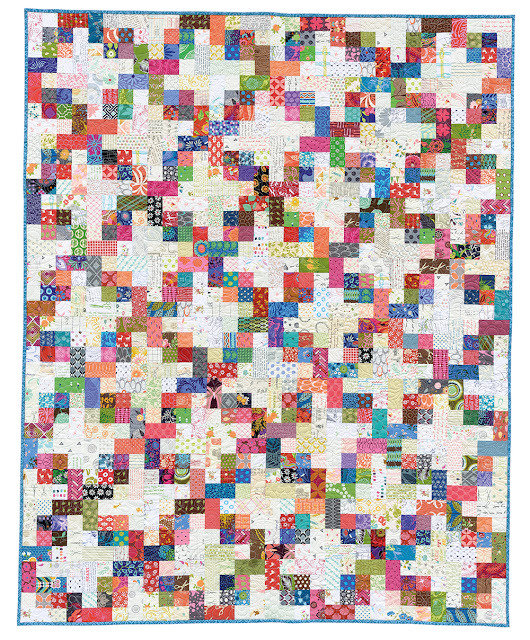 Loving all your quilts though - fun, fun, fun! mountainquiltworks at gmail.com. I love using scraps everywhere! I like your method of buying small amounts of super low volume prints. My eyes usually head straight for the brights and batiks! Love what I’m seeing of the book. Best wishes for lots of success! I love your books and bought the new one the instant I saw it — I just don’t remember which shop had it! But I’d love to have that low-volume bundle, I often use multiple low-volume prints for backgrounds. 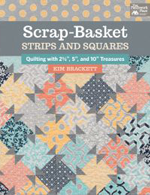 You have so many great ideas for scrap quilts. I definitely go with a mix of low volume prints because I would be really bored with the same background all the way through. Hello. The quilts you show today are so fun and use lots of fabric. That is usually what keeps me interested. I enjoy scrappy backgrounds. Thanks for the chance to win both. Book and fabric! 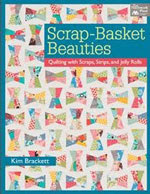 This looks like a great book to have so I can use up my scraps. I like using lots of different backgrounds. I think it makes the quilt so much more interesting to look at. I love scrappy quilts and prefer to use lots of background fabrics. I very rarely purchase yardage, so I have to use what I have on hand. Love your books--they are so fun! Kim--You are so creative and inspiring! 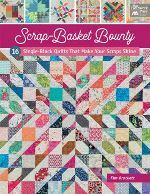 I'm drawn to the scrappy background approach because I could stay true to the make-do-with-scraps approach, rather than buying yardage. Definitely love scrappy backgrounds, the more the merrier! Thanks for the chance to win! I had no idea Moda had those low volume bundles. Shoot! I love the colors in your latest book and seriously need to expand my stash with low volumes and color! The scrappier the better! Whenever there’s a shop sale and I go, once I’m there I completely forget what I need and I try to resist just buying because something catches my eye. So to keep in track so I buy neutrals/low volumes to add to my stash. Still there’s never enough! Love mixing up the backgrounds! I'm an equal opportunity quilter - depends on the quilt. Somwtimes I do scappy and sometimes I do a single background. I love scrappy backgrounds and am constantly running low on them. Thanks for the chance to win a copy of your new book and the layer cake! I love scrappy backgrounds, but I tend to use a single background because I am really chicken when it comes to scrappy quilting! I love scrappy backgrounds but mostly I use a single fabric for it because a scrappy background doesn't work for all quilts and fabrics. 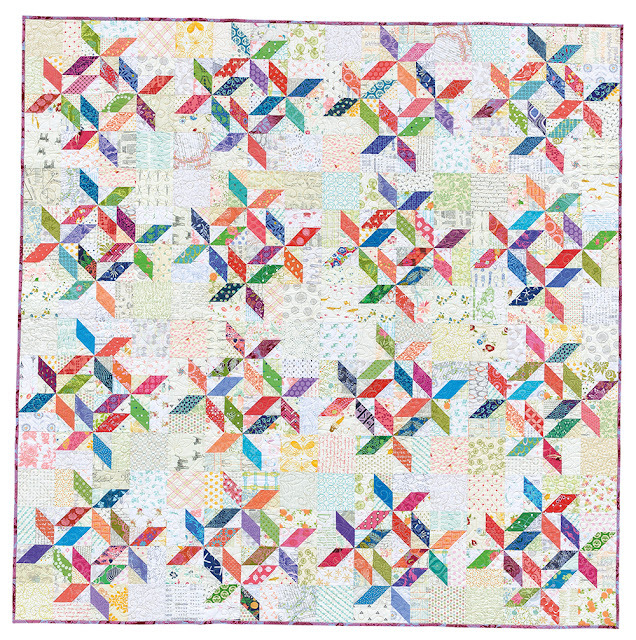 I love all the quilts in the new book! I prefer to use the same background fabric in a scrappy quilt. I love the look of scrappy backgrounds! I have made your patterns both ways. I think it depends on the design and scrappiness of the blocks. I like both ways! I prefer using scrappy backgrounds, unless I have leftover scraps from the back of one of my last quilts. These make great background fabrics. It depends on the quilt but I love scrappy backgrounds to try to use up more of my stash. Thanks for the chance at the giveaway! I have 2 of your other books and have used them alot. I do alot of scrap quilts and save all my scraps. I recut the prints and lights down into use able pieces starting at one and a half. Would love to win your newest book. I alot of times want my quilts bigger and the way you have everything broke down makes it easy for me to figure out. Scrappy is best even though it is more work. Sometimes I really get tired of pressing all those fabrics to create 'scrappy' but the end result is so worth it. I can't wait to see your new book. I LOVE this new book. And I do like using the same background colors, even if they are different fabrics. Great fun! I am so excited to see this book! I love scrappy backgrounds and scrappy quilts in general. You are so talented and I love your designs...have a couple of your books. If I don't win this one, I will definitely be purchasing it. Thanks for the giveaway! I’m passionate about all things scrappy and I can’t wait to read your new book - thank you for this opportunity! Hi Kim! 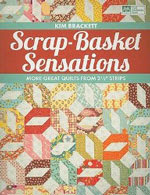 I enjoyed reading more about your thoughts when you wrote Scrap- Basket Bounty! I love quilts with scrappy backgrounds, but I seldom make them myself. 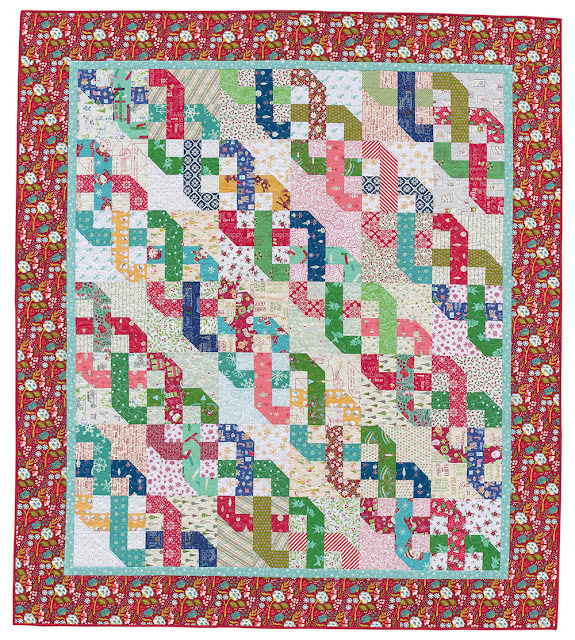 I think I’m too bound by what fabrics ‘go together’ or the theme of the quilt and things like that. Thanks for encouraging me to mix it up a bit! It’s so freeing! Oh by the way, I’m having the same issue with my Blogger comments. I was thinking it had to do with them discontinuing Open ID, but I’m not even sure what exactly Open ID did, so maybe it doesn’t? What a wonderful looking book! I want to make each and every one of the quilts NOW!!!! 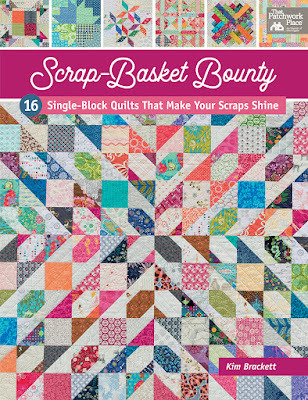 This book is chock full of sumptuously scrappy quilts. A scrappy background would be bold new territory for me , but I like it and would definitely give it a shot. Scrappy backgrounds and scrappy quilts all the time. Love your books. Recently I have been having the most fun making quilts with scrappy backgrounds! Scrappy is best in every way!! I will admit to making non-scrap quilts, but my favorites end up being the ones with a huge mix of colors. I taught my daughter her colors on a scrap quilt! Looks like another great book! I have to say that I usually prefer less scrappy backgrounds, but that may be because I don’t have a ton of low volume scraps....I tend to look for bigger background pieces. I like both but scrappy is the best! I love scrappy backgrounds in my quilts. 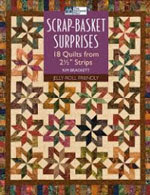 I have used them in most of the quilts I have made in the last few years, since I began making designs from your books. I could really use more light pieces like those in this group. So far, I haven’t made a scrappy quilt or one with a scrappy background. Everything has been planned but I’m starting to collect enough scraps to try a scrappy. Your book looks wonderful ... congratulations! 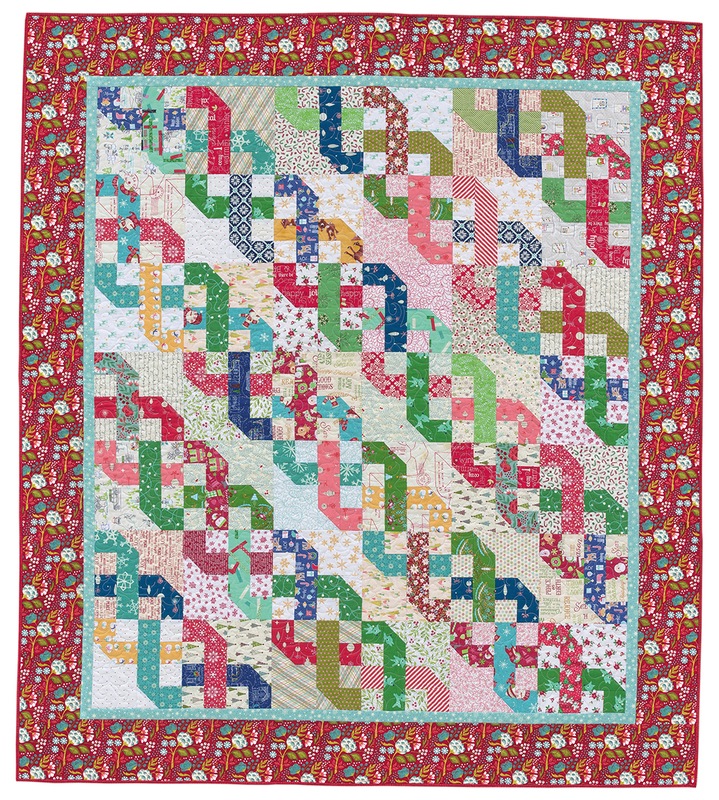 I love the quilts you’ve shown and would love to win. Thanks for the opportunity! I love scrap quilts. I generally use a scrappy background as well as the main portions of the design. I have already decided I really want this book. There are at least two quilts already on my 'to do' list from your book. Thank you & keep up the great work of designing quilts. Would love to win the giveaway. 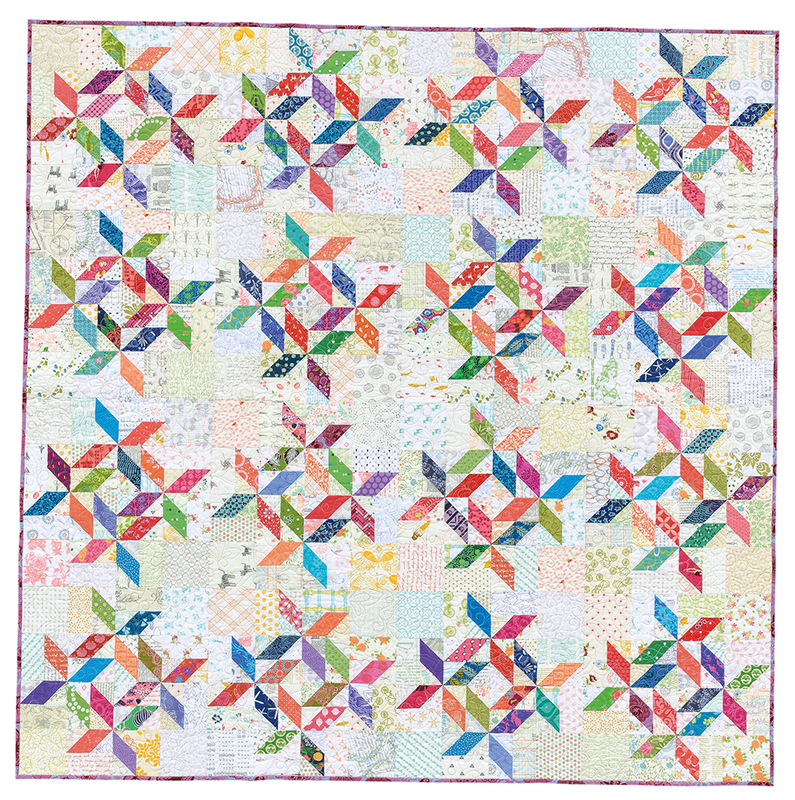 Wow, I can see that this is going to be an incredible book with gorgeous quilts. I like scrappy backgrounds, because it is easier to cut smaller pieces, and you don't have to worry about running out. Plus it makes the quilt look more interesting. Thank you for the chance to win both the low volume fabric and the book! I have always used a solid background, but the scrappy look is growing on me. I have all your previous books and would love to have the new one (and the fabric bundle)--Thanks for the chance!! Scrappy is best in my book! I’d love to win a copy of your newest book. I’m definitely going to add it to all your other books. I’m currently working on a tablerunner from Cross My Heart blocks. Thanks for the chance to win! I always use a solid background, but only because I don’t have many low volume prints. I love that look! I love a scrappy background. The scrappier the better in my book! And in your book, too. I'm so impressed that you stuck with fabrics from your stash for these wonderful designs. LOVE scrappy backgrounds. I am trying to increase my stash of low volumes. I seem to have a lot of white TOTs. 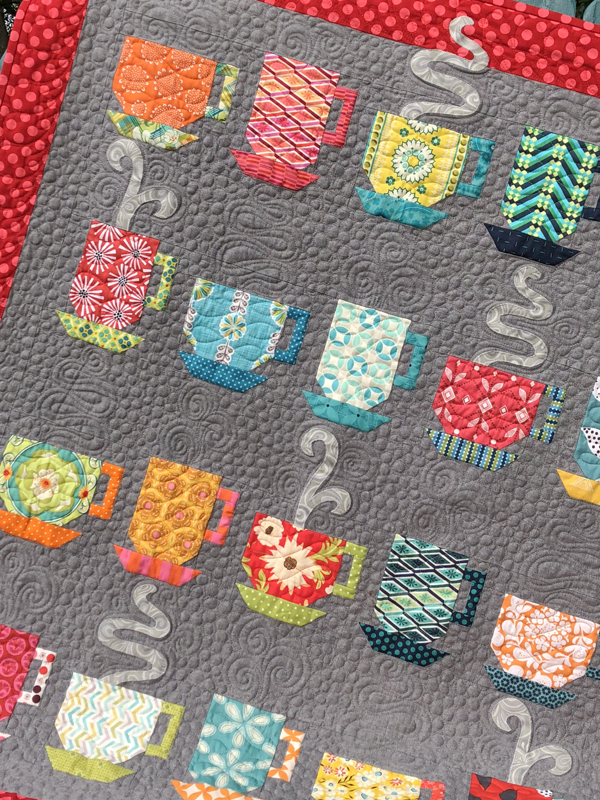 Although sometimes a single background can help "calm the noise", I really love it when a scrap quilt goes full out and the background is as scrappy as the "focus fabrics"! Trying that with low volume prints as you have done is high on my "To Do" list. Love it that you have a new book out! As I sew more quilts I have found I prefer scrappy the more prints and backgrounds the better. I didn't know Moda had released a low volume package - I will have to look for it. I definitely prefer scrappy quilts. I love the traditional roots. I love scrappy quilts, but I haven't done a lot of scrappy backgrounds. When I go shopping I am attracted to batiks and colorful prints so I don't have many low volume background prints. I do like the look so I will Need to make a special effort to purchase some. I love the designs in your new book! Beautiful quilts. I love looking at quilts with a scrappy background but I love making them with all one background. I've just started using scrappy backgrounds and I love the way they look. It's a lot harder than just using off-white. I can't wait to get my hands on this book to add to my Kim collection! With me being a fabric saver for "just the right quilt," I think you give permission here to use it up and make them all beautiful. I like both ways, scrappy or all the same fabric for the backgrounds. Thanks for the giveaway. Thank you for the opportunity to win your book. The low volume fabric would be so much fun to use with my scraps. I love quilts with scrappy backgrounds but solid backgrounds take less brain power. I'm in between ... My "scrappy" backgrounds are mostly a variety of WOW fabrics but I'm starting to mix in more more volume scraps ... This bundle would help! I'm still new to this "low volume" idea so my backgrounds tend to be very neutral. But I'm willing to start mixing them in! I love using lots of different lights blow volume) prints in all my quilts. The scrappier the better! 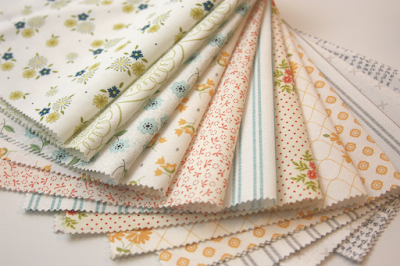 I love looking at your new designs and searching for fabrics in them that I have also used or have in my stash. I've seen a few! I typically only use one background fabric because I am a chicken! But I made a scrap quilt last winter and for the first time I used several different background fabrics. I guess that I don't know how to go about collecting backgrounds. I'm so used to buying backgrounds in 2, 3 or 4 yard pieces. How would you suggest going about collecting them??? Fat quarters or half yards or more?? Thanks for this chance. I prefer a single fabric background. The book looks great. Thanks for the chance to win.